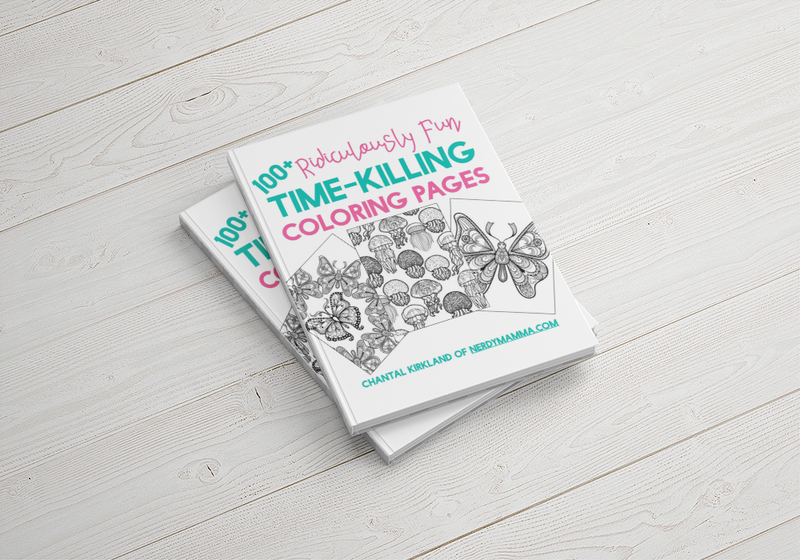 100+ Ridiculously Fun Time-Killing Coloring Pages is an amazeballs adult coloring book filled with over 100 printable coloring pages perfect for when you’re busy and need a break from real life. Spend hours relaxing while sipping coffee (or wine, no judgment!) and coloring these beautiful pages one by one! With animal coloring pages, busy mandala coloring pages, and even crazy hair do coloring pages, this book has got it all!